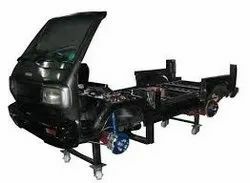 Our range of products include mechanical lab, cut section model of air break system, cut section of suspension system, universal governor apparatus and cut section of chassis. 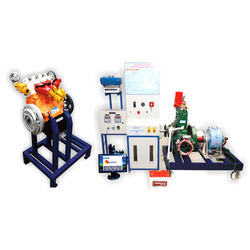 With thorough understanding of the relevant industry, we are offering a wide range of Mechanical Lab. The offered products are manufactured using optimum quality raw material and advanced technology at our end. 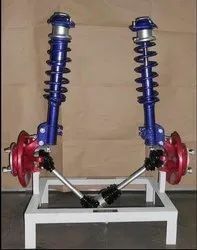 In tune with different requirements of our copious clients, we customize the entire product in various sizes and shapes. Our offered products have gained exceptional value amongst our clients for its defined features. Being a well established organization, we bring forth an excellent assortment of Governor Apparatus. Our offered product is widely appreciated by our prestigious clients for its precise design and durability. 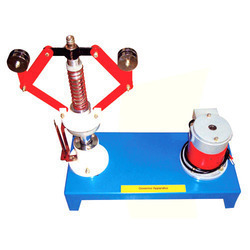 The offered product can also be availed in various sizes, designs and other related specifications. Our provided product is manufactured by a team of our adept professionals utilizing quality approved raw material and advanced technology. Our precious clients can avail this product from us at market leading prices. Looking for Mechanical Lab Products ?